EMPOWERING employees and SEALING the void between them and upper management for over a DECADE… Char comes with a verified plan of attack, and a deep-rooted history in the areas of mergers and acquisitions, organizational development, culture transformation, change management, building organization capability and human capital process. Mix it all together for a uniquely effective holistic approach to corporate health that will stand the test of time! Sprinkle in her flair, drive, and a diverse healthcare background, and Char has made herself one of the most requested corporate life coaches around. She has led hundreds of high volume mergers and successfully transformed broken cultures, resulting in a lower turnover and an increase in revenue for her clients! Char’s vast pool of experience lives in healthcare industries on a national scale, such as: Behavioral Health, Homecare, Hospitals, Healthcare Management Services, Assisted Living Facilities and Medical Groups. 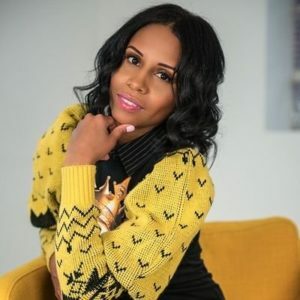 She utilized the invaluable insight gained from attaining her Master of Industrial and Labor Relations from Zicklin School of Business at Baruch College and her bachelor’s in marketing from CUNY, York College, to march forward and crush her goals. Refusing to slow down, Char’s innovative strategies landed her in the circles of top senior- level HR Executives with an invite-only spot on the Elite Forbes HR Council. Her work was recognized by the Young Gifted & Black Entrepreneurial Awards and she was honored with the Professional Services Award for Strategic Vision & Innovation in Human Resources! And that isn’t the only way that Char is making waves in the HR arena, she packs an even bigger punch by mastering her discipline and attaining certifications for: Certified Corporate Life Coach (CCLC), Certified Relationship Consultant (CRC), Certified Holistic Health & Wellness Practitioner (CHWP), and last but definitely not least, Strategic Human Resources Business Partner (sHRBP). 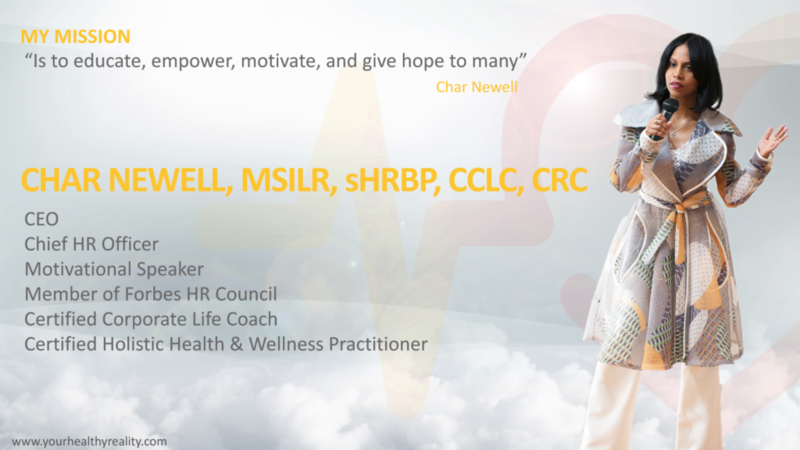 With her unstoppable attitude, Char decided to magnify her growing knowledge in health and human resources by starting Your Healthy Reality (YHR). This is an organization dedicated to providing corporate life coaching services and fast-tracking professionals to paths of success and enabling organizations to achieve corporate health. She brightens up the airwaves with a delectable podcast that will keep listeners coming back for more, offering an exclusive perspective into a world of healthy relationships in the workplace, and how it ties in closely to a healthy mind. Her work in the field of Human Resources and in the community earned her the Certificate of Congressional Recognition from Congresswoman Yvette Clark! “It’s not just about running a successful business, it’s about changing lives. We are dedicated to serving people by educating, empowering, motivating and giving hope”. – Char Newell.